Paradox Interactive has unveiled the the third chapter in its acclaimed Penumbra series of horror-adventure games, entitled Penumbra: Requiem. Promising to tie up loose ends, the game will see the protagonist encounter various characters from his past, as long lost friends return to aid his quest. But this time around, a whole new level of psychological thrills will be waiting to challenge gamers, and figuring out what is real and what is not - and who to trust - will be vital to survival. Like other entries in the series, Penumbra: Requiem was developed by independent studio Frictional Games. "We believed very strongly in this team and their skills from the start and now that the Penumbra series has become such a hit worldwide, those who doubted have been proven wrong," said Paradox Interactive Executive Vice President Fredrik Wester. "Therefore it was a no-brainer for us to sign this expansion, and we are convinced fans of the series will be equally excited about the news!" "After the launch of Penumbra: Black Plague we realized that we still had some unfinished ideas for features and storyline that we wanted to implement," added Frictional Games co-founder Jens Nilsson. "An expansion like this will be the perfect end to a series that has given both us and the players so much." Penumbra: Requiem will be available exclusively through GamersGate as a downloadable expansion, but no release date has been set. 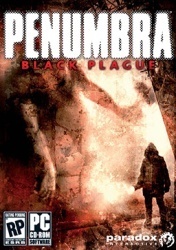 To learn more about Penumbra games, check out the official Penumbra: Overture and Penumbra: Black Plague websites.